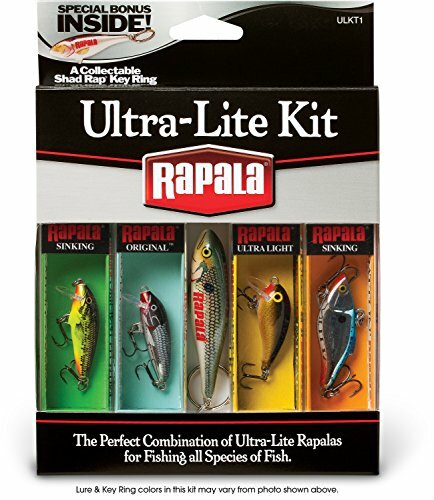 The Rapala Ultra-Light Lure Kit has the perfect combination of ultra-lite Rapalas for fishing all specifies of fish. Even the smallest catch can be played like a trophy catch-and when you get a big one, look out! The action is unbeatable. The Mini Fat Rap has tight swimming action and a reputation for catching skittish fish. The Rattlin’ Rapala produces sounds that are harmonic, uniform, and in-tune with nature. Imported.